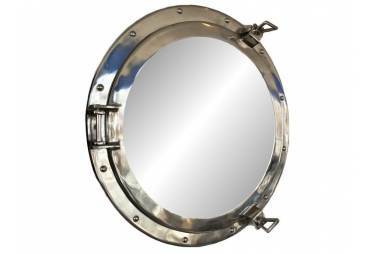 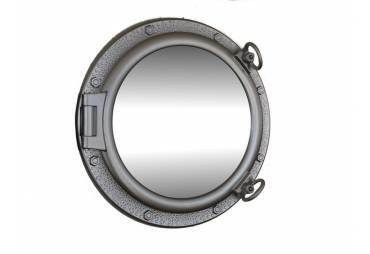 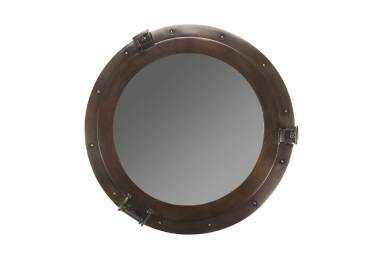 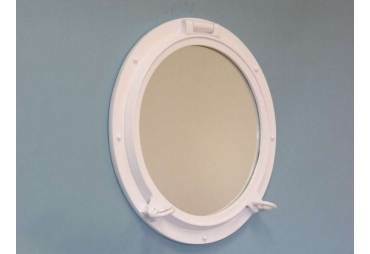 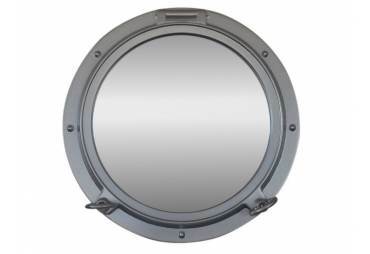 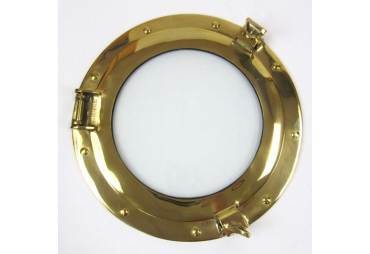 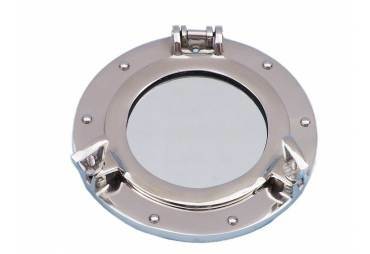 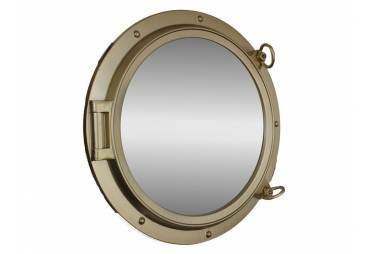 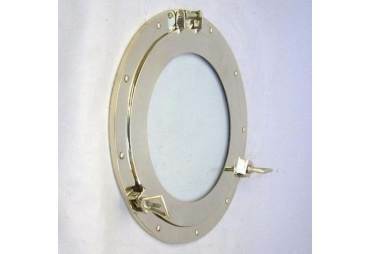 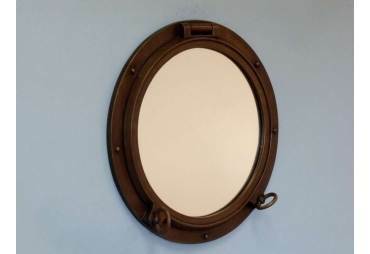 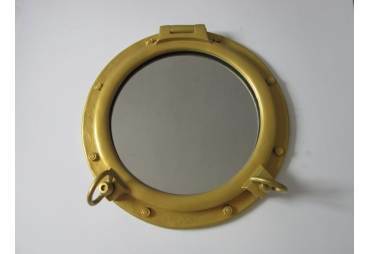 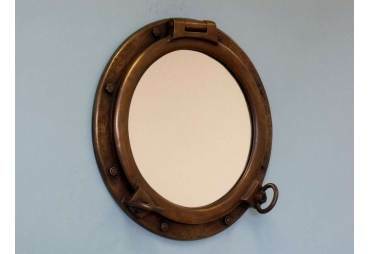 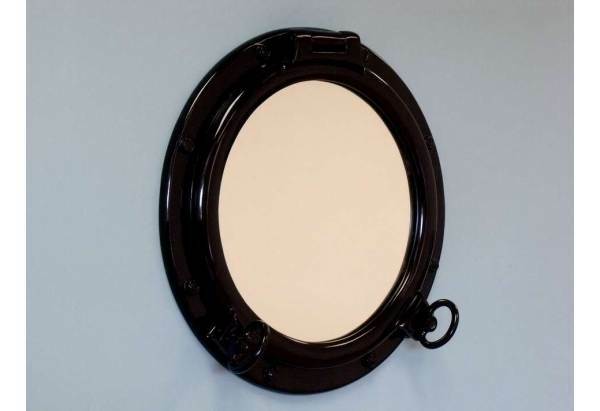 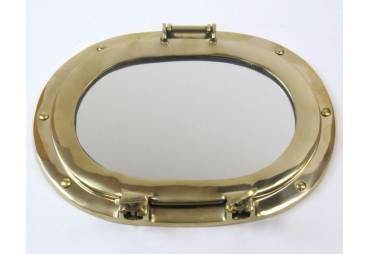 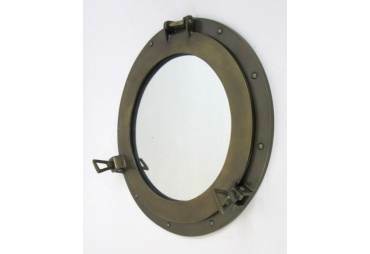 → Nautical & Coastal Decor >Portholes>Gloss Black Finish Porthole Mirror 20"
Gloss Black Finish Porthole Mirror 20"
This gloss black finish porthole mirror 20" adds sophistication, style, and charm for those looking to enhance rooms with a nautical theme. 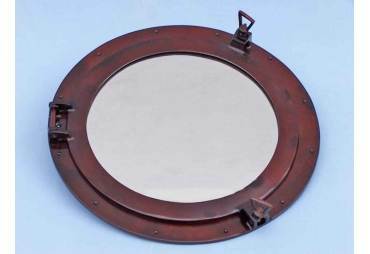 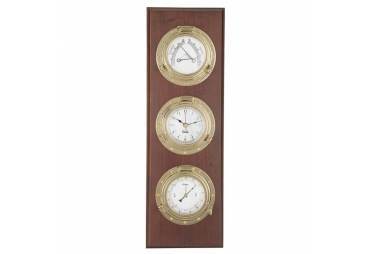 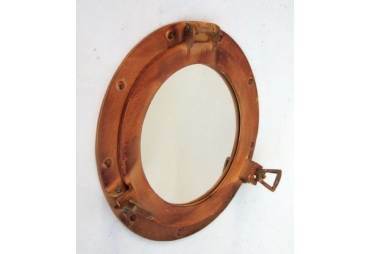 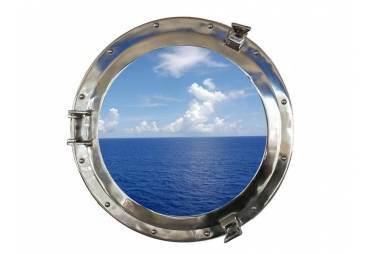 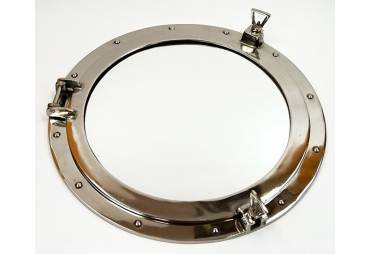 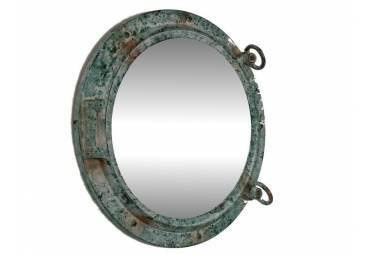 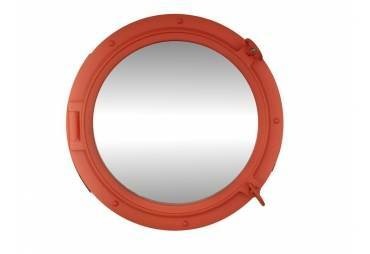 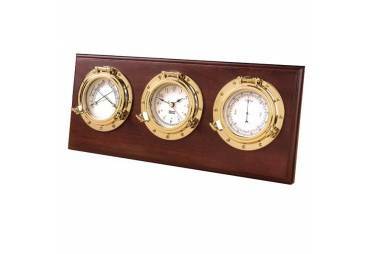 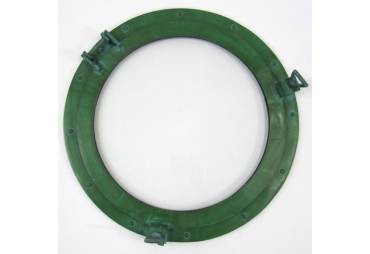 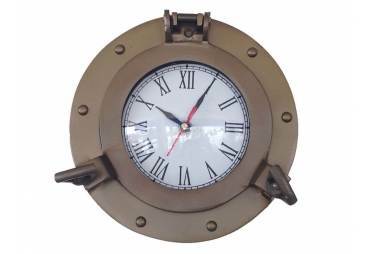 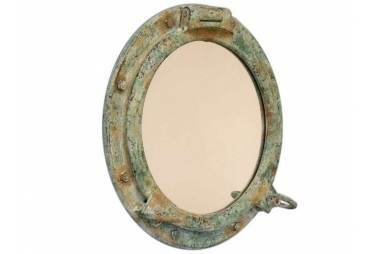 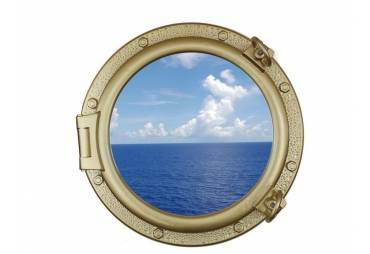 This porthole has a sturdy, heavy and authentic appearance, yet it is made of wood and fiberglass to lower the weight and to allow for easy mounting. 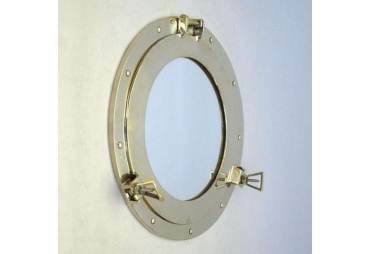 Eight solid metal bolts grace the border of the porthole. Mirror size is 14" diameter and 4.25" deep to dog-ear.